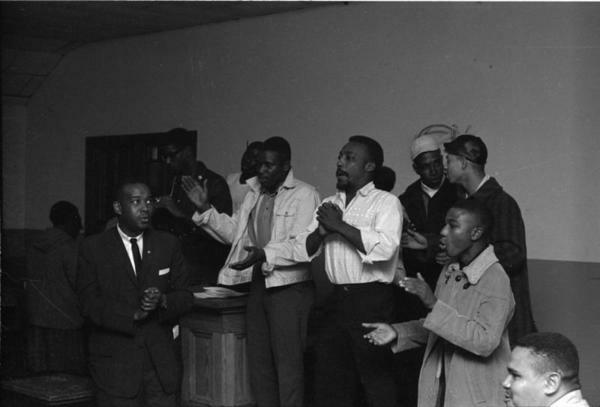 Description: Aaron Henry for Governor rally attendees sing freedom songs, October 29, 1963. COFO's Freedom Vote campaign event held in upper room of Masonic Temple, 522 Mobile Street, Hattiesburg (Miss.). Aaron Henry in suit, front left. Lawrence Guyot's head visible, front right.